PLAN GRANDE, Honduras, Oct 1 2015 (IPS) - A small fishing village on the Caribbean coast of Honduras has become an example to be followed in renewable energies, after replacing candles and dirty costly energy based on fossil fuels with hydropower from a mini-dam, while reforesting the river basin. They now have round-the-clock electric power, compared to just three hours a week in the past. The community, Plan Grande, is in the municipality of Santa Fe in the northern department of Colón, and can only be reached by sea, after a 10-hour, 400-km drive from Tegucigalpa on difficult roads to the village of Río Coco on the Caribbean coast. From Río Coco you take a motorboat the next morning, which takes 20 minutes to reach Plan Grande. It’s 6:00 AM and the sun has started to come up. The sea is calm and the conditions are good, say the motorboat operators, who add that manatees used to be found in these waters but have since disappeared, which they blame on the damage caused to the environment. 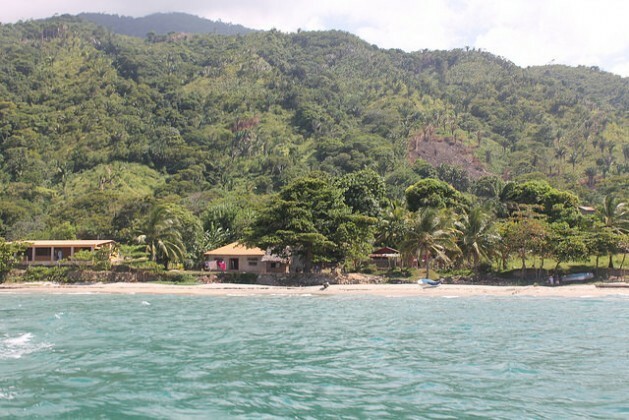 Plan Grande, a village of 500 people, is at the foot of steep slopes, along the Caribbean coast. On the boat ride to the village, seagulls can be seen flying in the distance as the fishermen return in their cayucos (dugout canoes) and small boats after fishing all night at sea. Others take jobs on larger fishing boats, which keeps them away from home for eight months at a stretch. Fishing and farming are the only sources of work in the village, which makes electricity all the more important: in the past, because they couldn’t refrigerate their catch, they had to sell it quickly, at low prices. “There was very little room for negotiating prices, and we would lose out,” community leader Óscar Padilla, the driving force behind the changes in Plan Grande, told IPS. The village finally got electricity for the first time in 2004, thanks to development aid from Spain. But it was thermal energy, and for just three hours a week of public lighting they paid between 13 and 17 dollars a month per dwelling. “We couldn’t afford anything more than street lamps – no electricity for TV and no refrigerator, because the costs would skyrocket. We couldn’t keep things on ice for long, and our dairy products and meat would spoil,” said Padilla, 65. But in 2011 the people of Plan Grande opted for hydropower after a visit by technicians from the Small Grants Programme (SGP), implemented by the Global Environment Facility (GEF) and the United Nations Development Programme (UNDP), who suggested a small community-owned hydroelectric plant. The entire community got involved and designed their own project for renewable energy and sustainability. With 30,000 dollars from the SGP and aid from Germany’s International Cooperation Agency (GIZ) and the Honduran Foundation for Agricultural Research (FHIA), a round-the-clock power supply became possible and Plan Grande left candles and dirty energy based on fossil fuels in the past. 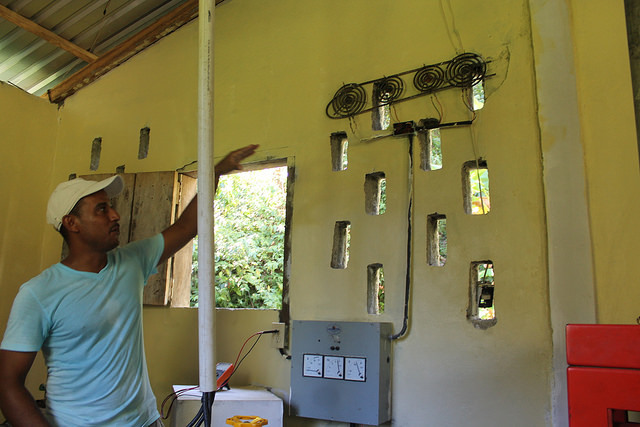 “Our lives have changed – we now have electricity 24 hours a day and we can have a refrigerator, a freezer, a fan, and even a TV set – although we have to use the energy rationally and respect the limits and controls that we set for ourselves,” another local resident, Edgardo Padilla, told IPS. “If we’re not careful, demand for power will soar, which would create problems for us again,” said the 33-year-old fisherman, who is responsible for running the energy supply from the micro-hydroelectric power station. The rules and schedules set by the villagers to optimise and ration energy use include specific times for watching soap operas, turn on freezers, or use fans. For example, freezers are turned on from 10 PM to 6 AM, which is the time of lowest consumption, he said. “For now, air conditioning is not allowed because it uses so much electricity, and light bulbs and freezers have to be the energy efficient kind,” said Edgardo Padilla, who added that they also focus on transparency and accountability in their energy policy. The change in the source of energy has brought huge advantages. “We used to pay 360 lempiras (17 dollars) for three hours a week; now we pay 100 lempiras (four dollars) for a round-the-clock power supply,” he said. The villagers also set a sliding pay scale. Families who have a refrigerator, fan, TV set, computer and freezer pay 11 dollars a month; those who have only a fan and a TV set pay six dollars; and families who just have light bulbs or lamps pay just four dollars. The Plan Grande mini dam is 2.5 km from the centre of the village, along footpaths through a 300-hectare forest that runs along the Matías river, which provides them with electricity. The plant generates 16.5 kilowatt-hours (kWh). The villagers also developed a conservation plan to preserve their water sources and installed cameras to monitor illegal logging and to identify the local fauna. Belkys García runs a nursery created a year ago to grow trees such as pine, which can be used for timber, in order to reforest and keep the area green. She organises maintenance and reforestation crews, which all villagers take part in. 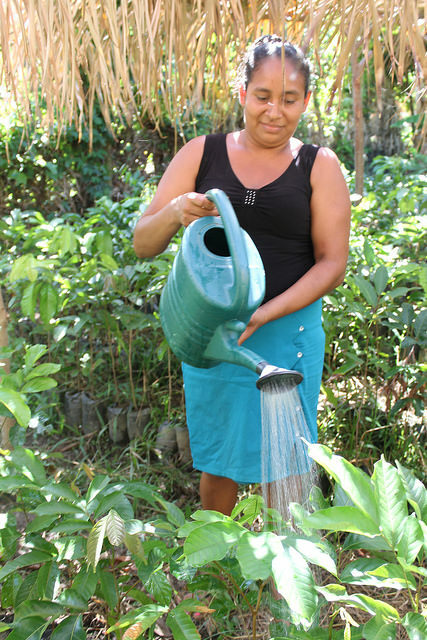 “If someone doesn’t come on the day they were scheduled to do clean-up and maintenance of the nursery or the streets and paths that lead to the dam, they have to pay for that day of missed work,” García, 27, told IPS while watering seedlings. “We organise ourselves, and using the nursery we also want to become entrepreneurs in other income-generating areas, such as growing rambutan (Nephelium lappaceum),” said García. The local population is of mixed-race heritage. The municipality of Santa Fe is mainly Garifuna – descendants of African slaves who intermarried with members of the indigenous Carib tribe. The mayor of Santa Fe, Noel Ruíz of the Garifuna community, is proud of the village. “It is a model at the national level for the good use of clean energy,” he told IPS. “It’s worth investing here; this is a committed community and its leaders know about accountability, believe in transparency and love nature, three things that you can’t find easily,” said the 44-year-old mayor, who was reelected to a second term. 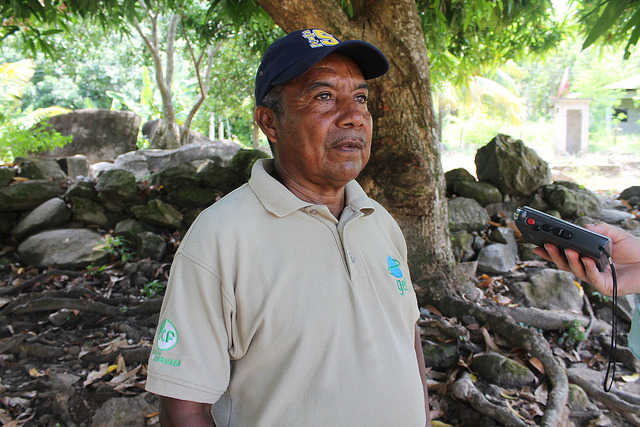 “These people are happy because while the country has energy problems, they don’t; they have understood that there is a correlation between conservation of nature and well-being for the community,” added Ruíz, an agronomist. Energy demand in this country of 8.8 million people is estimated at 1,375 MW. Sixty percent of that is generated by the national power utility, ENEE, and the rest comes from private companies or is imported by means of interconnection with other Central American nations. Energy in Honduras comes from four sources: thermal, hydropower, wind and biomass. In 2010, 70 percent came from thermal power stations, and 30 percent from renewable sources. But since 2013, that has changed, and thermal energy now represents 51 percent of the total, while the rest comes from renewables. The village of Plan Grande is now an example of the rational use and conservation of renewable energy. Thanks to the new power supply this isolated community now has its own bakery. “As a little girl I would imagine that one day I would trade my candle for a lamp. Things have really changed for us!” a 55-year-old local resident, Julia Baños, told IPS.